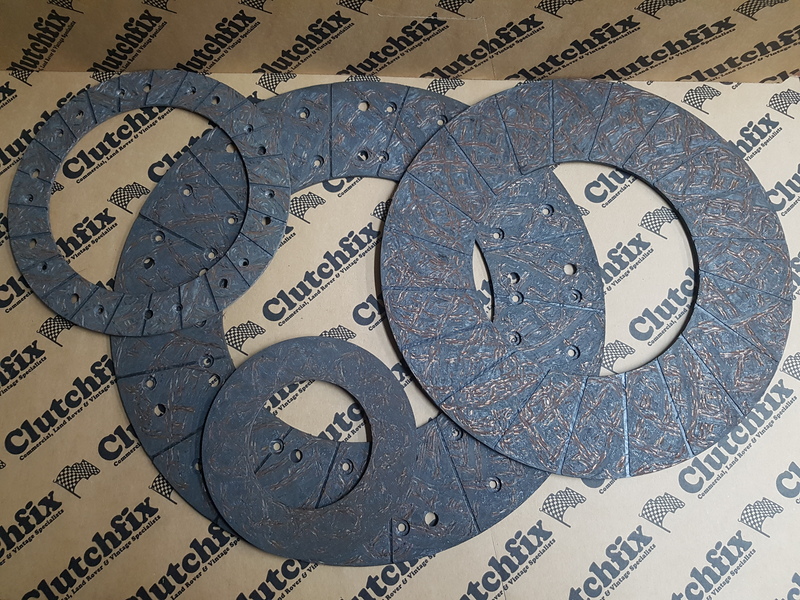 Through years of steadfast dedication to providing the best quality organic friction materials, Clutchfix continues with development & use of the tried and tested HD1 material. 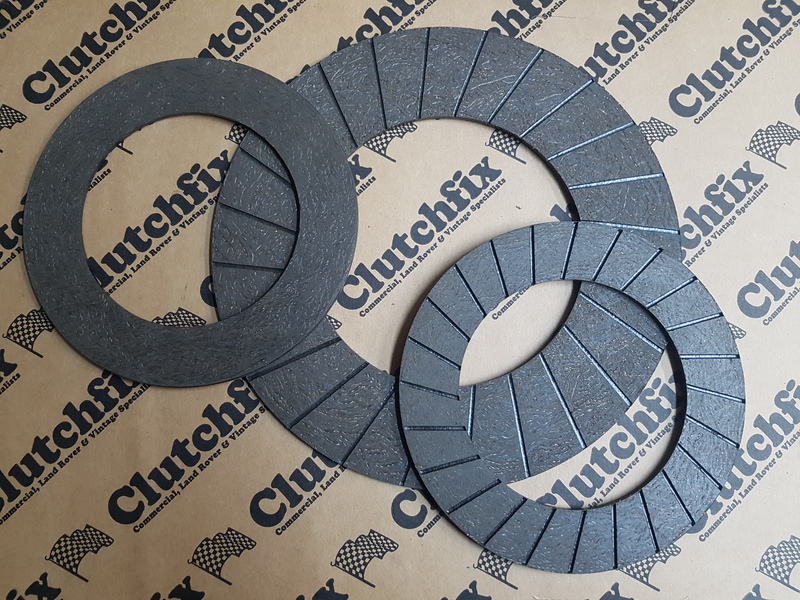 This material was initially designed for heavy haulage and industrial applications in mind, however we have now put this material to good use in our bespoke built clutch kits and now more than ever, the Land Rover applications which require a material that can handle the extra torque and heat generated whilst off road. 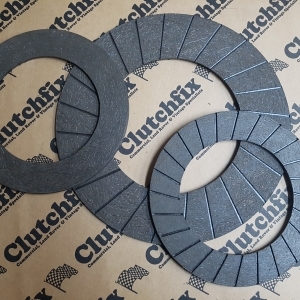 This material offers high mechanical strength, higher strength of anti-rotary and it especially reflects stability whilst engaging and disengaging the clutch. It has a stable friction coefficient of 0.49MPA across differing temperature ranges and has been burst tested to +250 degrees Celsius @> 10000 RPM, which is equal to, if not better, in performance to Kevlar based materials at a vastly reduced price. 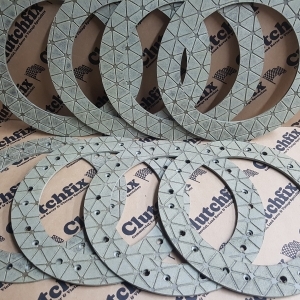 All friction materials supplied by Clutchfix conform to all UK / EU legislation, which prohibit the use of: Asbestos, heavy metals inc Lead and solvents. Todays linings consist of refined glass fibres, composite fibre metals with heat resistant properties, high grade copper to help with heat dissipation and then added high temperature resin, anti-wear agents, lubricants and high quality anti-wear and friction resistant regulating agents. The highly regarded HD1 material can also be used in wet applications (oil immersed clutches) which has been tried and tested by some of our customers with excellent results, although as with all wet friction the friction coefficient is vastly reduced to one-third its dry optimum coefficient. We also offer other high-performance friction materials from everyday car to light and heavy haulage. Further information is available upon request. 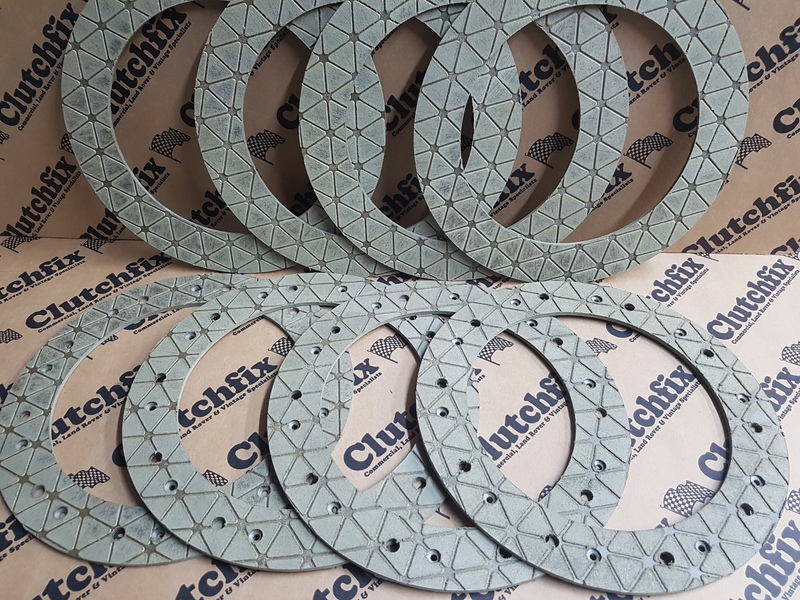 We have been supplying to many of the car and commercial clutch reconditioning companies across the UK for several years. 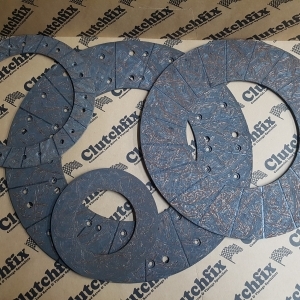 Clutchfix also uses and supplies Ceramic segmented buttons. These are used generally in race / high-performance / high torque applications. Ceramic buttons can withstand considerable heat. They can operate without fading or loss of performance at temperatures up to 1000 degrees Fahrenheit (538 degrees Celsius), although it is very important to note that the static to dynamic friction is quite high for ceramic clutches. This means that engagement of the clutch can be abrupt. They are ideal for race applications where repeated engagement and disengagement leads to high temperatures and aids the clutch to hold much better.